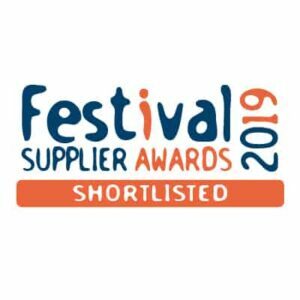 John F Hunt Power has been shortlisted for the Best Plant / Equipment Hire Award in the Festival Supplier Awards 2019. The event was launched in 2014 to recognise the achievements and hard work of outdoor event and festival suppliers. The awards’ categories cover the whole spectrum of essential activities for outdoor events from staging, crowd management, temporary structures and crewing to crowd barriers, toilets, technology and glamping. The winners will be announced on Tuesday, 31st of January, at the Hurlingham Club in London. Essex-based John F Hunt Power, part of John F Hunt Group, was formed in 1998 and it offers nationwide coverage for the hire, sale and installation of power generators. The company is also sponsoring the Best Power Award at the same ceremony.